Thanks to the kindness and generosity of Australians across the nation who contributed $716,795 to The Petbarn Foundation’s National Seeing Eye Dogs Appeal, 14 special puppies will receive training to provide assistance to Aussies who are blind or have low vision. 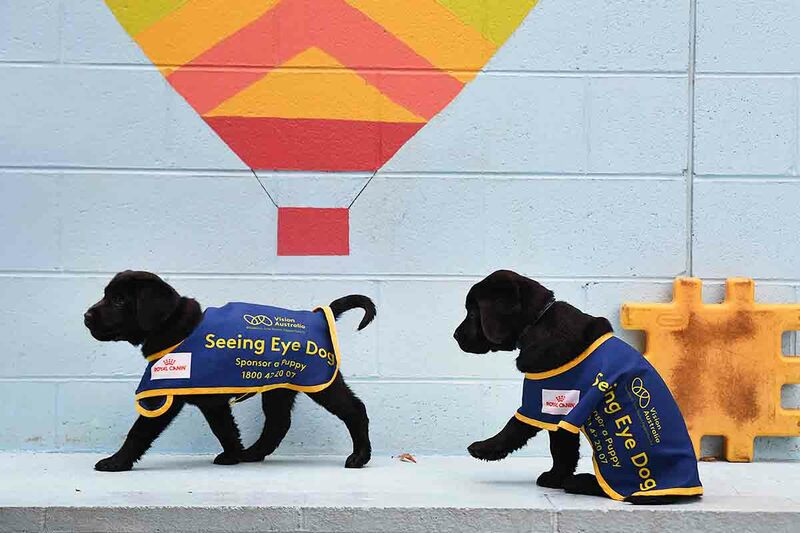 The Seeing Eye Dogs Appeal, which launched across Petbarn stores in May and ran for six weeks, raised a massive $716,795 across all Petbarn, City Farmers and Greencross Vets Clinics nationally. All funds raised will go directly towards covering the costs of breeding, caring for puppies, training and matching Seeing Eye Dogs to as many people as possible. David Speyer, General Manager of Seeing Eye Dogs, says he is absolutely thrilled with the result of this year’s fundraising campaign. “I would like to express my sincere thanks to The Petbarn Foundation, City Farmers, Greencross Vets Clinics, ROYAL CANIN® and the community for their generosity in supporting the Seeing Eye Dogs Appeal this year. Our mission to help people who are blind or have low vision to live the life they choose would not have been possible without your support. 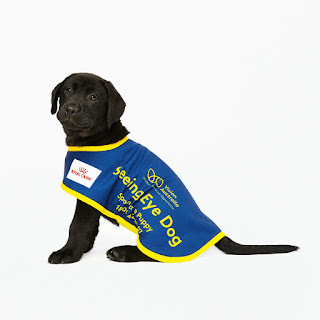 We are overwhelmed by your kind donations that mean we are able to expertly breed, train and match more world-class Seeing Eye Dogs,” says David. It costs a minimum of $50,000 and takes up to two years to train one Seeing Eye Dog. Training begins when the dog is still a puppy and involves teaching them basic socialisation skills and obedience and, on maturity, each dog takes part in up to six months of intensive training with a specialised instructor. “It takes a lot of expertise, time, love, patience, and funding to raise these special dogs that will one day become the gift of independence for 14 Australians who are blind or have very low vision,” David says. Chief Operating Officer, Tanya Houghton says she is blown away by the kindness of Aussies and would like to thank them for digging deep and supporting this very worthy cause. “I would like to extend my gratitude to everyone who donated to the appeal this year. Seeing Eye Dogs do more than just allow Australians who are blind or have low vision to retain their independence and mobility – they alleviate the effects of social isolation and contribute to an all-round better quality of life, which is why we are proud to be involved in helping train 14 puppies,” Tanya says. “A special thanks to ROYAL CANIN® for their ongoing support over the past ten years by providing precise and individualised nutrition to help ensure the Seeing Eye Dogs and puppies-in-training are fit for their important work. This year, they kick-started the campaign by donating $50,000 to the appeal,” Tanya says. Dedicated to serving passionate animal lovers and their pets, Petbarn also provides a range of services including pet adoption, grooming, and a DIY dog wash, as well as loads of good pet advice. There are currently more than 168 Petbarn specialty pet stores nationally with plans to open additional stores in the year ahead. If you have pets, be sure to bring them too because at Petbarn stores, all leashed pets are welcome. Petbarn established the Petbarn Foundation in June 2012 to actively support pet welfare programs (including its Pet Adoption Centres) and its partner shelters through numerous fundraising activities. In Australia, in the last financial year the Petbarn Foundation has raised over $1 million dollars for local animal charities. Underpinned by science and observation, ROYAL CANIN® partners with nutritionists, breeders and veterinarians from around the world, to tailor innovative nutrition solutions that take into account the individual needs of cats and dogs of different breeds, life stages, lifestyles, and whose medical conditions may vary.